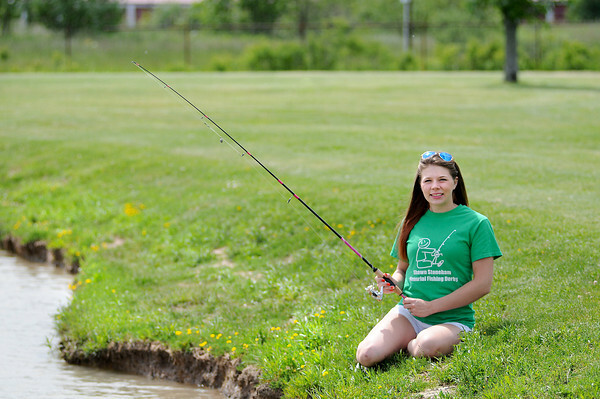 James Neiss/staff photographerWheatfield, NY - Samantha Stoneham is organizing the 4th Annual Shawn Stoneham Fishing Derby at Oppenheim Park. Samantha Stoneham, of Niagara Falls, and her dad, Michael, hold derby to honor her brother, Shawn Stoneham, 10, who passed away from Leukemia 8 years ago. Proceeds go to organizations that helped him. This year the proceeds will go to Essential Care, which provides hospice care for children. Fishing derby is at 11 a.m. Sunday June 9. Ages 13 and under will compete for prize for largest fish caught. Over 14 fishermen can buy a ticket for drawing for $200 gift card from Gander Mountain. Fishing licenses are required for 16 and older. Costs $7 to fish. Info: smsmemorials@gmail.com.